This home is now prepared to take on any amount of rain after the work we’ve done! 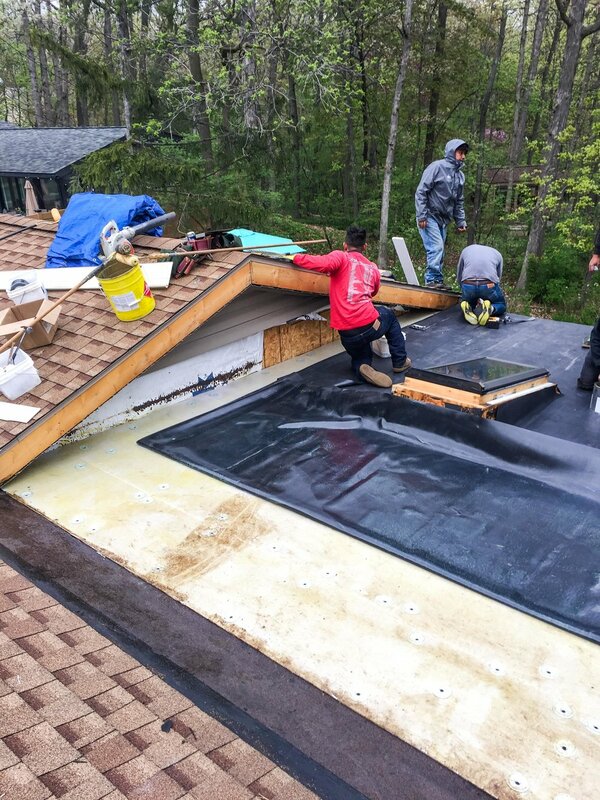 The flat portion of this roof had EPDM installed, we installed a new insulation board, and reflashed the skylights. 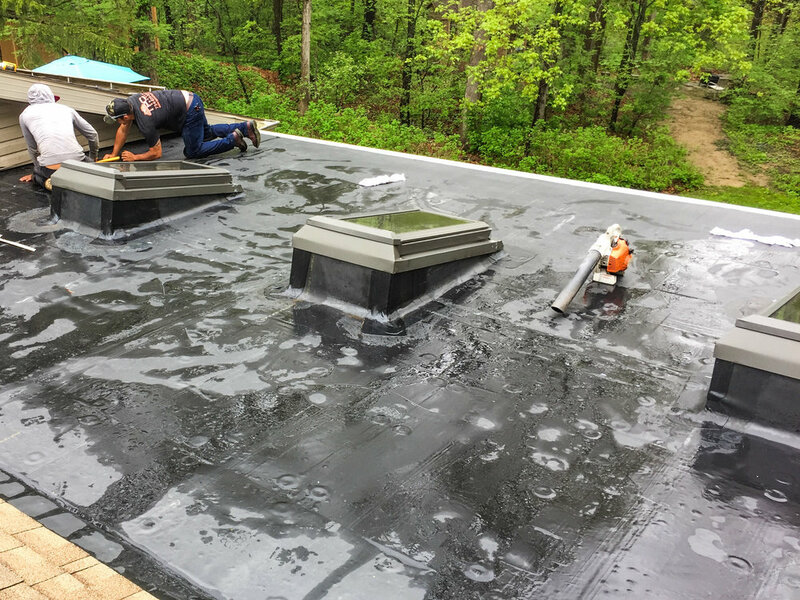 The purpose of Skylight Flashing is to keep as much of the moisture as possible on the surface of the roofing material to prevent leaking and moisture damage.